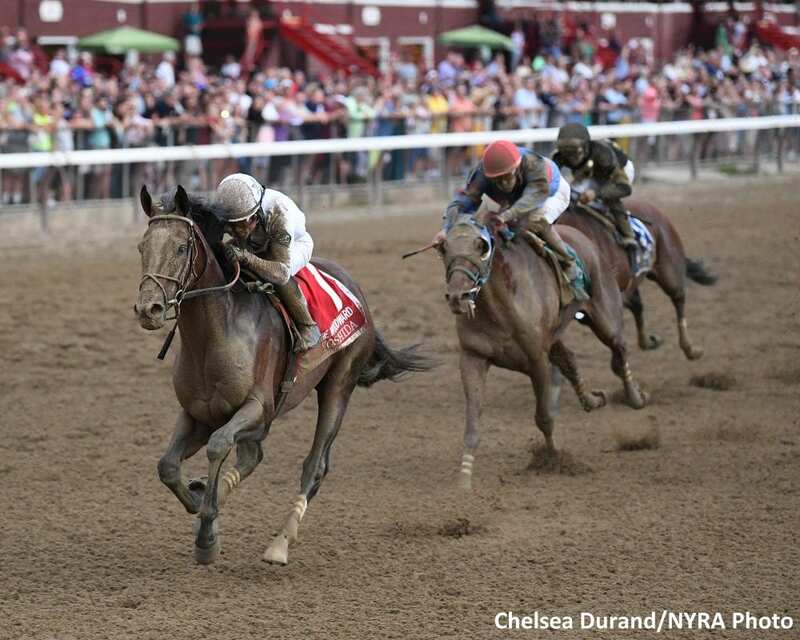 Japanese-bred Yoshida, winner of last Saturday's Woodward Stakes Presented by NYRA Bets and now a dual Grade 1 winner this year on turf and dirt, debuted in seventh place in this week's NTRA Top 10 Thoroughbred Poll. Multiple Grade 1 winner Accelerate retained the top spot overall for the third consecutive week with eight first place votes and 343 points. Triple Crown Champion and recently retired Justify (28 first place votes, 333 points) was second in the voting. Whitney winner Diversify (266 points) received two first place votes and ranked third in this week's poll. Leading 3-year-old filly Monomoy Girl (230 points) and top 4-year-old filly Abel Tasman (190 points) rounded out the top five. This entry was posted in NL List, Racing and tagged Abel Tasman, accelerate, catalina cruiser, catholic boy, diversify, Justify, mind your biscuits, monomoy girl, National Thoroughbred Racing Association, NTRA, ntra top thoroughbred poll, sistercharlie, yoshida by NTRA. Bookmark the permalink.